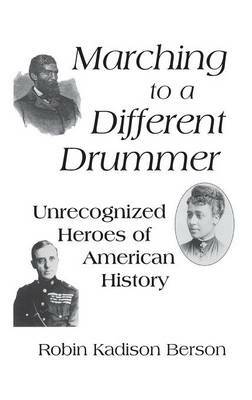 These 35 little known heroes and heroines of American history from across the ethnic spectrum have been virtually ignored in traditional history books. Their inspiring, biographical profiles reveal the struggle, in the face of entrenched opposition, for a just, equitable, and humane society. They spoke for racial and social justice, women's rights, safe working conditions, and freedom of conscience and religion. More than half of the profiles are of women, one fourth are of African-Americans, and Native Americans, Asian Americans, Latino and Chicano Americans are also represented. Each profile integrates the individual life with a detailed explanation of the historical context, and each entry provides excerpts from primary sources--speeches, writings, and interviews--and is followed by broad bibliographical references. An alternative perspective on American history for students is offered in this work. The 35 men and women profiled here all defied the social and moral conventions of their times, frequently facing opposition and condemnation. Their voices were often stilled, muted, or lost, but their ethically grounded courage, their clarity of vision, and their willingness to stand up to injustice provide role models for Americans of all ages. One third of these people cannot be found in standard biographical references and others have never before been the focus of biographical sketches. Subject lists by chronology, gender, ethnicity, and focus of the biographee's concern will enable the student to select an appropriate subject for investigation and reports.